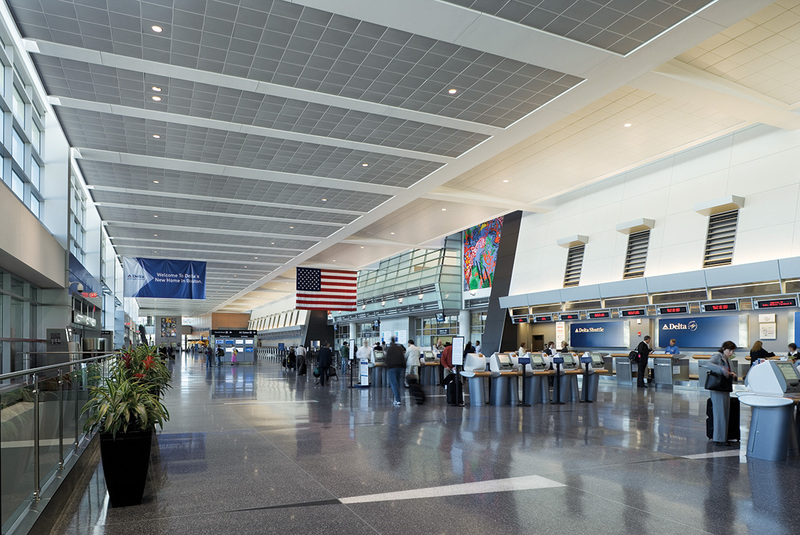 Delta Airlines has redeveloped the existing Terminal A to provide a new $400-million state-of-the-art terminal to serve as their hub for northeast operations. The 686,386-square-foot terminal centralizes all Delta Airlines operations and provides additional gates to meet projected growth rates. The terminal contains 14 restaurants, 19 shops, new security systems, and baggage conveyor belts. The terminal is the world’s first air terminal to earn LEED certification from the U.S. Green Building Council. PMA provided project schedule control, including development of the “most feasible” construction sequence, claims/dispute mitigation, and construction management services through design/preconstruction, construction, and completion/turnover. PMA was responsible for developing and maintaining a detailed CPM schedule for the project; presenting routine updates/analyses; and evaluating progress and schedule recovery initiatives.